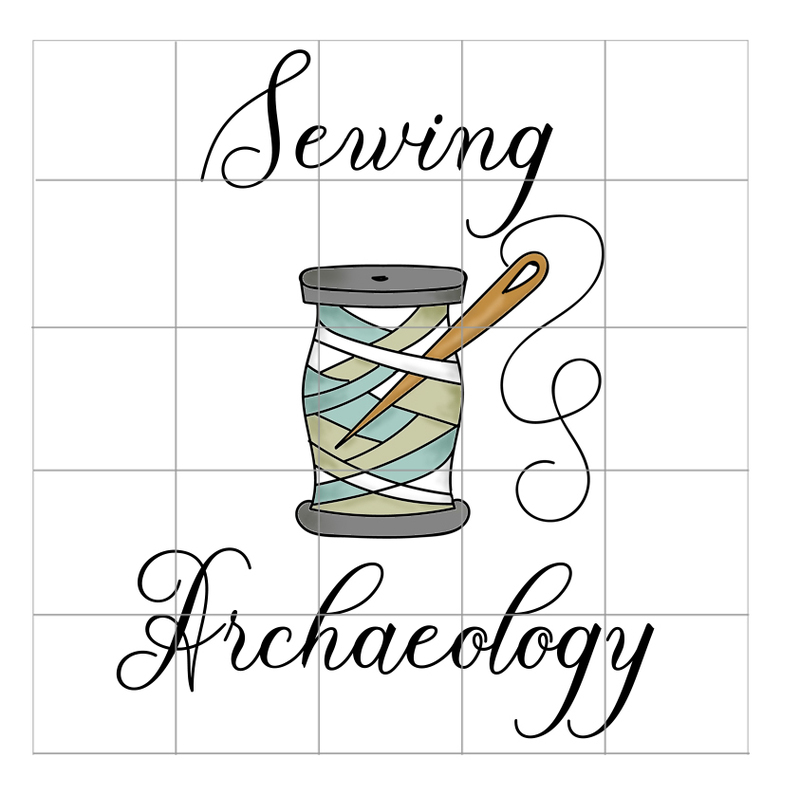 Sewing Archaeology logo, copyright Carrie Henderson. An archaeological grid is overlaid on top of a cotton reel with a needle through the threads. 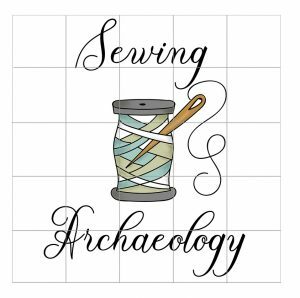 Above is the word Sewing below is the word Archaeology.